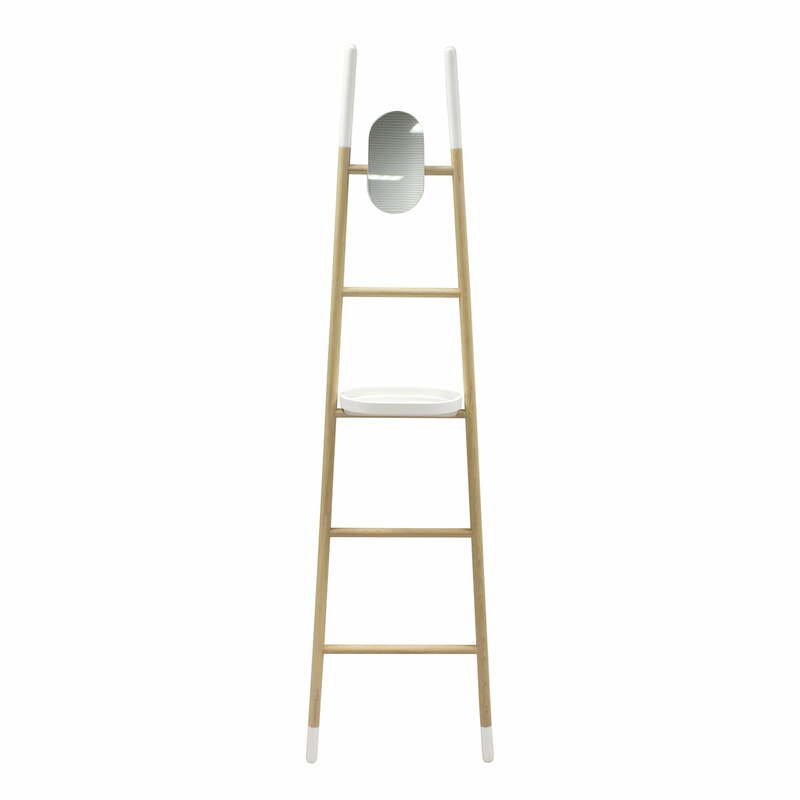 The Arlette coat stand by Hartô is a versatile piece for jackets, towels and more. Reminiscent in appearance of a simple ladder, it surprises with its various functions: As a coat stand, shelf, mirror and ladder in one, jackets, scarves, hats, keys or plants can be decoratively displayed. In short: Arlette is the perfect piece of furniture, visually fitting into any interior while simultaneously providing practical as well as aesthetic features. The Arlette coat stand by Hartô with a height of 180 cm consists of a ladder with five rungs made of solid oak. The design is completed by a removable mirror and a shelf made of powder-coated metal on the third rung. Arlette is simply leant against the wall and helps to maximise even the smallest of spaces. The Arlette coat stand by Hartô with a height of 180 cm consists of a ladder with five rungs made from solid oak with a removable mirror and a shelf on the third rung made of powder-coated metal.